Our website uses secure commerce servers (SSL) and authentication to ensure that your personal information is secure online. Authentication will only allow purchases which are made from an IP Address which matches the origin of your Credit Card. In other words: CCNow’s Credit Card screening is so sophisticated, that you would not be able to buy online from another location. 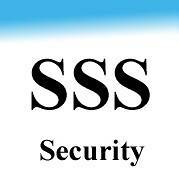 Making a credit card purchase at our site is secure. You will fill out your personal Credit Card information with CCNow Inc., our Credit Card handling agent. Immediately contact your credit card company to report the unauthorized charges. Ask to speak to a representative in the Fraud department. The representative will give you instructions on how to proceed with a claim and determine if you will incur a personal liability fee. We are absolutely committed to protecting your privacy. Personal information gathered while shopping our site is strictly confidential. The importance of security for all personally identifiable information associated with our guests is of utmost concern to us. We exercise great care in providing secure transmission of your information from your PC to our servers. All your Credit Card information you will fill out at CCNow’s secure website, once you click the “Buy It” button. We will therefore have no excess to any Credit Card details of our clients. We may use your E-mail address for our own use to notify you of updates or specials you may be interested in but if you do not wish to receive this information from us, you can be removed from the list immediately by writing to our service department. Should your browser not support frames, please use navigation below!